Braeside Property Services Ltd - Central Heating Engineer, Plumber based in Southampton, Hampshire. 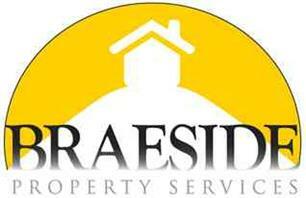 Hello and welcome to the summary page of Braeside Property Services ltd.
My name is Neil Burrow I am the owner/operator. I have 27 years experience in Plumbing and Heating, I am an ex gas board employee who has worked in private and social housing environments since the age of 15!! At Braeside property services ltd we specialise in heating fault finding, servicing and appliance replacements, ranging from fires, full heating systems, boiler exchanges, system convertions and everything else in between. As well as all your heating needs we also carry out complete bathroom refits, general plumbing and pretty much everything you need for around your home!! My experience puts you the customer in the safest and most reliable hands possible. If we make an appointment with a customer then we turn up ON TIME!!! If for any reason we are delayed then a quick call is made to inform the customer of any hold ups (after all it is only fair to keep people in the loop) !! Southampton, Eastleigh, Romsey, Winchester, Gosport, New forest, Fareham, Salisbury, Dorset, Hampshire.